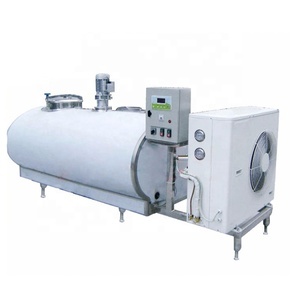 Small milk tank applies to storing and cooling fresh raw milk on farms, as well as fluid in small milk depot, dairy plant, food, feed, pharmaceutical plants. 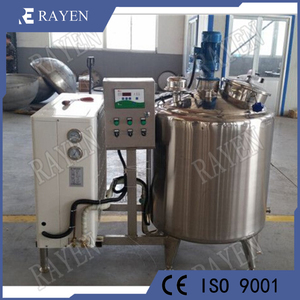 Small milk tank is mainly composed of the body, agitator, cooling unit and electric control cabinet. So it is the ideal cooling and storage equipment for pasture, milk station, milk factory, and beverage factory and pharmacy industry. 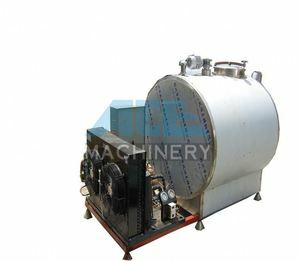 2 The body is made of stainless steel, with precision polish, being difficult dirt accumulation, corrosion resistance and easy cleaning. 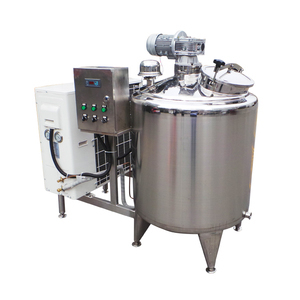 4 The cooled raw milk can rapidly reach the needed temperature of 4C and keeps constant warm, which can prevent the generation of bacteria and make raw milk to be A-grade cream. 5 The imported compressor features with high performance, energy-saving, full sealing and protection system that prevents damage due to overload. Where is the factory located9 What is the nearest port9 Our location is city of Dalian, in northeast China. There are many shipment routes to ports in Asia, European, America and Africa. We worked with an international shipping company for more than 5 years. Its characteristics are: 1. 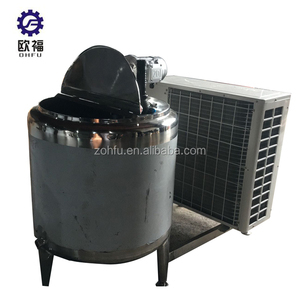 Heat recovery control and separation control milk cooling tanks, milk cooling to ensure the normal operation of the premise heat recovery system to take water, safe and reliable. 2. 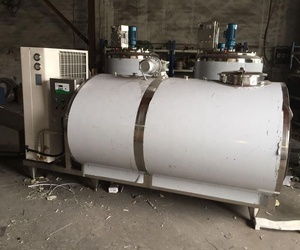 The brazed plate heat exchanger for heat exchange, to achieve separation of the water tank and heat exchanger, and easy maintenance. Company in 2009 involved in draw up the national standards and the standardization of dairy milk station machinery related industry standards. 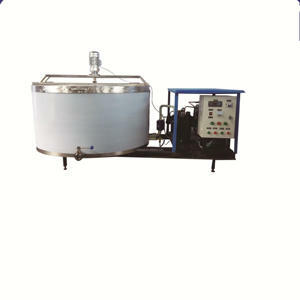 Alibaba.com offers 364 food grade milk cooling tank products. About 45% of these are dairy processing machines, 5% are storage tank, and 1% are water treatment. A wide variety of food grade milk cooling tank options are available to you, such as juice, milk, and carbonated beverage. 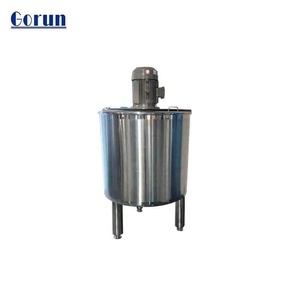 You can also choose from storage tank, fermenting equipment. As well as from paid samples. 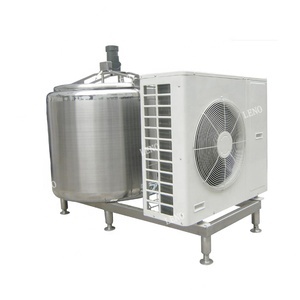 There are 284 food grade milk cooling tank suppliers, mainly located in Asia. The top supplying country is China (Mainland), which supply 100% of food grade milk cooling tank respectively. Food grade milk cooling tank products are most popular in North America, Southeast Asia, and Eastern Europe. You can ensure product safety by selecting from certified suppliers, including 48 with ISO9001, 11 with Other, and 8 with ISO14001 certification.